ASOS Guide to Coats That Rock. ASOS is making sure you're up-to-date with the latest fashion trends with your new season wardrobe. Coats are definitely the key piece of your wardrobe this year, so take a peek at ASOS' guide to Coats that Rock and make sure these trendy coats don't miss from your closet! The newest trends for the fall/winter 2011 season have been long set and now it's time to make room for your coats in your wardrobe. The cold season brings some changes to the scene, so if you love keeping up with what's in and what's out of fashion, take a peek at ASOS' guide to Coats that Rock and that will surely underline your fashion-forward style. Coats are definitely the detail that will make all the difference this season as they are the most 'out there' piece of your outfit, so if you want to look uber-trendy, make sure the following coats that rock don't miss from your wardrobe. 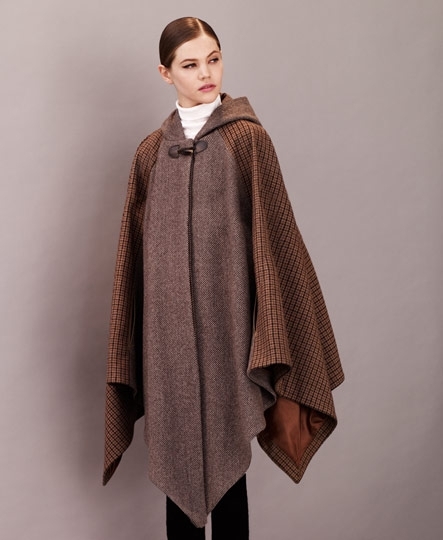 Vintage is still the 'buzzword' in fashion this year, so if you love vintage-vibe outfits, make sure you complete their look with a Sixties inspired ovoid shaped coat. 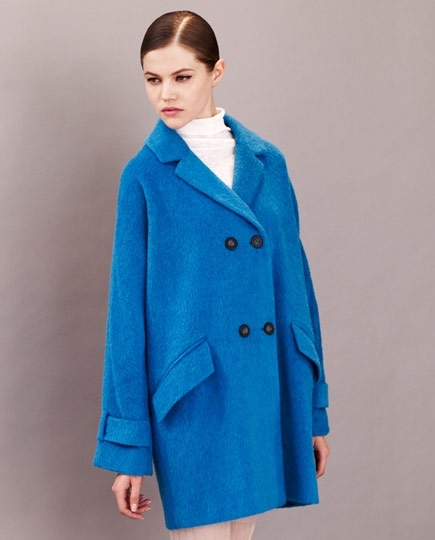 Baggy, ovoid shaped coats that are rounded around the shoulders look fabulous and can be a perfect match for you. Go for a cool colored coat if you want to stand out and make a style statement as blue, orange even red tones can definitely make heads turn. Luxury has always been synonymous with fur and leather and this year a faux fur coat will surely be the key piece of your wardrobe. Short hair, curly hair, long hair faux fur coats featuring vintage or modern, edgy-vibe, anything goes this season, so spice up your look and underline your classic, timeless elegance through a must have fur coat in your favorite hues. Go classic and opt for timeless monochromes and nudes or go wild and opt for color block coats or brights, depending on what suits your style best. A definite must have when it comes to outerwear is the luxe parka that will complete your casual-chic style. A casual outfit hasn't looked as fab in a long time and since Kate Moss herself inspired the luxe parka style at various renowned fashion designers, the slouchy piece should definitely be included in your stylish new season wardrobe. A fur detail application can really make an impact as far as style goes and accentuate the modern deluxe style of your parka, so explore and find your best match. Masculine inspired or androgynous cut coats look amazing and are a perfect match for girls who adopt a masculine-inspired style or who want to make a style statement. From stylish masculine inspired blazers to super biker jackets and stylish Crombie coats anything goes, so let your imagination go wild and opt for the perfect androgynous style coat that compliments your style perfectly. 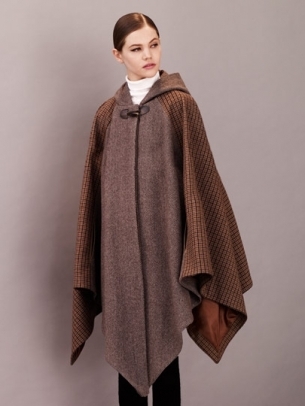 Coats that seem to have been transposed from the past when capes dominated the fashion scenes look amazingly fashionable this season, so draw inspiration from fashion labels such as House of Holland, Rag & Bone and Daks and complete your fab look using a 'Heritage” style coat. Monochrome or featuring various hues or plaid prints, this late 19 century inspired look will surely grab a generous amount of attention, so make sure you've got the attitude to rock this vintage style coat. Monochromes are timeless, yes, but if you're looking for clothes that make a spirited statement, opt for gorgeous bright colored coats that are difficult to miss. Fashion should be fun, so experiment the power of fashion by exploring the wonderful world of color. Upgrade your look by opting for new season shades such as opulent jewel tones, vibrant tangerine, Scarlet red hue and teal and you'll surely not go by unnoticed.